August T Larsson Guest Researcher, Department of Ecology, Swedish University of Agricultural Sciences, Uppsala 2013-2015. Associate Professor of Biological Sciences, Dartmouth College, 2000-2008. USDA Forest Service, Research Entomologist, Southern Research Station 1992 - 1993. Alaska Biological Research, Fairbanks, Alaska, Biologist, 1986-1987, 1989-1990. Contributor, Workshop on Climate change and Agricultural Trade, sponsored by STDF and World Bank Research Group. Resulting briefing note. European wood wasp (Sirex noctilio) ,Sandy Liebhold, USDA Forest Service Northern Research Station, Morgantown, WV, USA. . Juan Corley, Ecología de Insectos, INTA EEA Bariloche, 8400 Bariloche, Argentina. Mike Wingfield, Bernard Slippers, Brett Hurley, Jeff Garnas, Dept. of Zoology and Entomology, Forestry and Agricultural Biotechnology Institute, University of Pretoria, South Africa. María (Fina) Lombardero, Departamento de Producción Vegetal, Universidad de Santiago, Lugo, Spain. Darcy Nelson, US Forest Service International Programs, Washington DC. 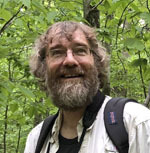 Powell Working Group: Predicting the next high-impact insect invasion: Elucidating traits and factors determining the risk of introduced herbivorous insects on North American native plants. Principal investigators: Kathryn A Thomas, USGS Pacific Northwest Aquatic Monitoring Partnership; Travis D. Marsico, Arkansas State University; Daniel A. Herms, Ohio State University; Patrick C. Tobin, University of Washington. Joint Science Education Project. Through a grant to the Institute of Arctic Studies at Dartmouth, the National Science Foundation supports two opportunities for US high school students to travel to the polar regions and participate in hands-on and inquiry-based science activities. The Joint Science Education Project (JSEP) takes students to Greenland and the Joint Antarctic School Expedition (JASE) takes students to Antarctica. Adaptive management of the pinewood nematode. Carla Pimentel, Instituto Superior de Agronomia, LIsbon, Portugal. Doug Streett, Insects, diseases, and Invasive Plants, Southern Research Station, US Forest Service. María (Fina) Lombardero, Departamento de Producción Vegetal, Universidad de Santiago, Lugo, Spain. Co-chair, Ecology and Evolutionary Biology Graduate Program (2002-2011, 2013-2015).